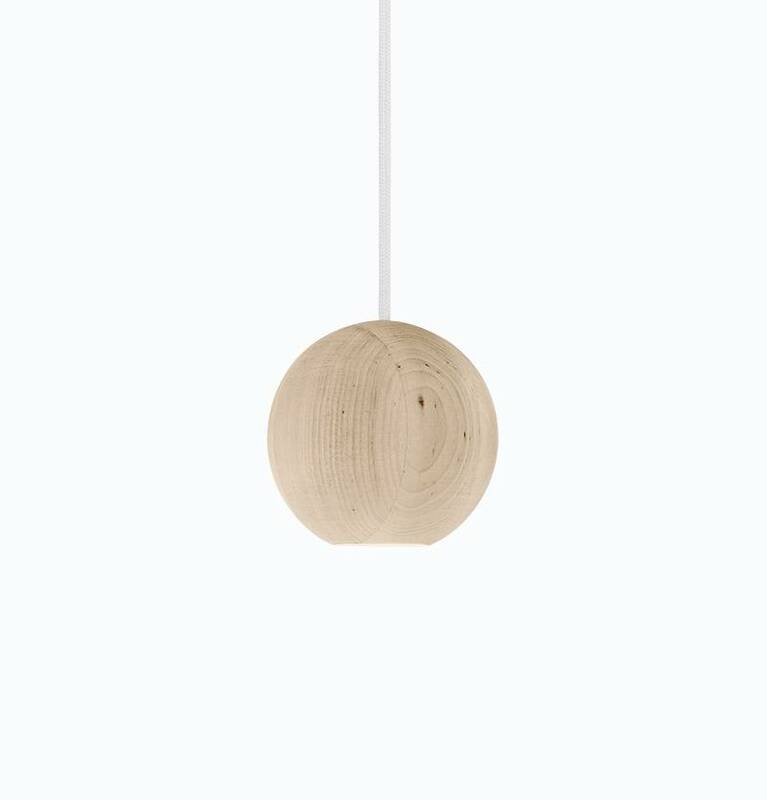 Liuku Base is designed by Finnish designer Maija Puoskari and is a crafted FSC-certified alder wood object in two different shapes, with long-life LED built in. 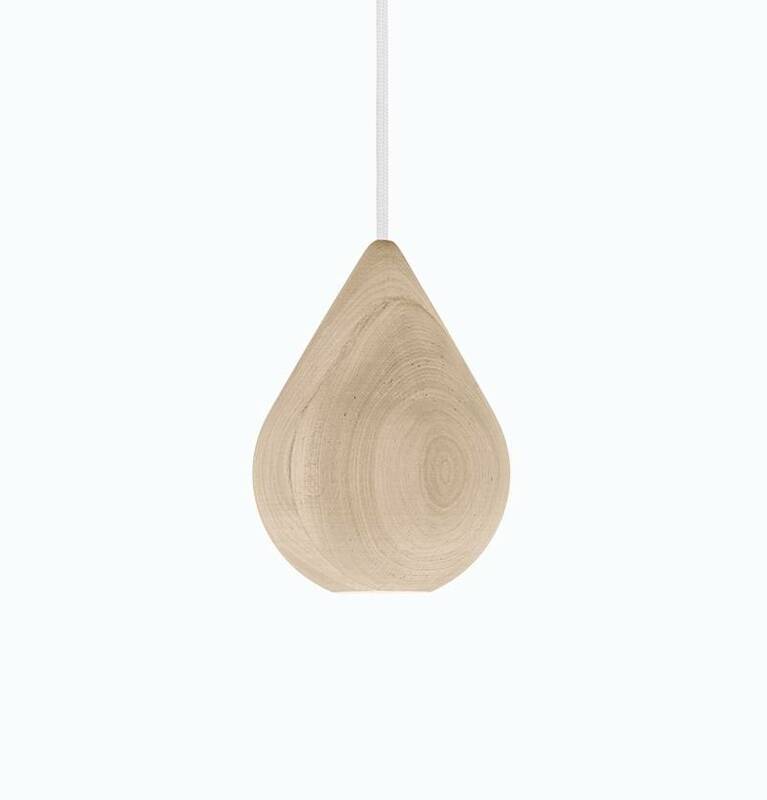 Can be used on its own as a single pendant, or to create rows and clusters. 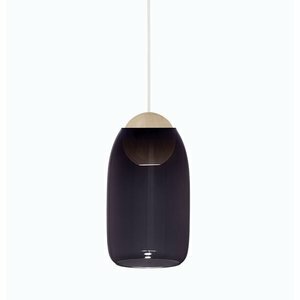 Additionally, a glass shade is available with clear glass or in two beautiful tones of smoke and gradient violet. Comes with 3m European wiring, GU10 socket, max 8W LED, bulb included.